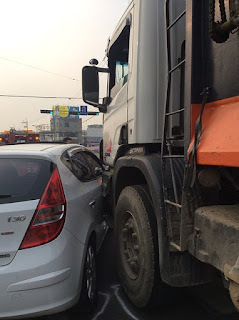 This is a crossposting from the New Weather blog. There is a truism about fish, who are said not to wonder overmuch about the nature of the water they are in, simply because they are swimming in it. I have to say I find that pretty unlikely. There would be many other reasons why they might not think about it - fish are not known for the depth of their thinking - but I'm sure they are actually concerned. Still, we understand the general idea - it is hard to see whatever we swim in that clearly. In the same way, the features of the age we live in, shaped by the banking crash that began exactly ten years ago, are not obvious. Because we live in it. I found myself thinking about the most obvious beliefs we live among, and how much they are attributable to the same tremendous crisis that so dominates the economy still. New Weather had teamed up with Prime Economics to organise a fascinating seminar to mark the tenth anniversary of the first whiff of disaster, the withdrawal of three investment funds by BNP Paribas - including Ann Pettifor, Professor Daniela Gabor and the writer Frances Coppola. It was called 'Finance Shrugged'. The first shift seemed to be flagged up by the very existence of the speakers. Ten years ago, there was a handful of outsiders who tried to penetrate the financial world, because they knew its importance. Finance still defends itself by being abstruse, but - Michael Lewis onwards - there is now a cadre of academics and writers who understand crucial aspects of the way finance works. They are also providing a critique which is increasingly compelling. The tragedy is that there is still so little communication, let alone debate, between the insiders and the informed outsiders. 1. We also now have a post-ideological world, or perhaps a gap between ideologies, when nobody - not even the Treasury - believes in the old 'trickle down' certainties. It opens the way to new possibilities, just as it has opened us to the most dysfunctional reactions. But the age we live in remains ideologically lost. 2. We are in an age of security, when those who rule us believe security is more important than prosperity. So we now have banks that are in some ways less likely to fail - but they are that much less effective. The new Basel III rules make loans to small business that much less affordable. Consequently, the age we live in is also an age of growing monopoly. 3. "We used to be regarded as geeks," wrote some of those on Twitter who, like Ann Pettifor, predicted the crash. Now they are respectable commentators, if not yet respected by mainstream finance, as are others who have been able to show how previous patterns are not necessarily a predictor of the future. Because, rightly or wrongly - and largely because of the crash - we also now live in a post-expert world. This blog is cross-posted from Radix and the Real Press. The Children's Commissioner takes over the lead story of the Observer, urging parents to limit their children's online bingeing. Then the Telegraph hits on the idea of asking a former head of GCHQ to hit back, bizarrely, in the national interest. Then that becomes their lead, and so it goes on. And actually, this is a real debate and a vital one which has not yet been joined. There is acres of newsprint and bookshelf space about online safety, but next to nothing about how much time children of various ages should spent glued to their games or mobiles - a figure that has risen to an average of over six hours a day. 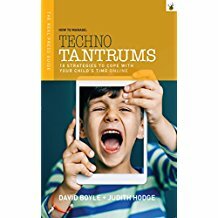 By coincidence, my own contribution to the debate - a guide for parents, by parents (Techno Tantrums: 10 Strategies to Cope with your Child's Time Online) - has only just come out, and is selling very well. People who doubt what they are told by the tech companies, the schools and by ministers, need to find out how other parents deal with it. So, thanks to the silly season, the great debate is finally grinding into life. What is bizarre is what it says about politics now. Why should the left take the side of parents? Why should the right claim, oddly, that children should be in front of screens as much as possible, to help the nation recruit the right knowledge base - though why GCHQ can't find the right staff, given that children are spending six hours a day online, I simply can't imagine? These things matter very much indeed. And oddly enough, some of the original tech gurus knew that - as I explain in the book, Steve Jobs rigorously controlled the time his children spent on ipads. But that didn't stop UK schools gorging on them in the vain hope that it might help disadvantaged children learn - we all know that what helps people learn is good teaching and good relationships with teachers. "Parental guilt is also driven by a failure to appreciate that life online and 'real' life are not separate: they are all part of the same experience. Millennials understand this..."
Quite the reverse, in fact. The extent that millennials fail to understand the distinction between online and real life is precisely the extent to which they are disadvantaged. Or are your Facebook friends your real friends? If you really can't distinguish the two, you are in trouble, it seems to me. This is a confusion, not so much among children - who tell the difference often and easily - but among officials. Their bureaucracies create the same kind of virtual simulacra of the world, and they need to believe there is a continuity between the two worlds, the real one and the bureaucratic copy. Yet actually the real world is almost infinitely more complex, unexpected, magical and humane. This is an absolutely vital debate and I would like to do more to make sure battle is joined. This is cross-posted from the Radix blog. I was called quite late a few nights ago by a reporter in Toronto to ask me why it was that I thought the Canadian Dunkirk hero Jack Cracknell had been excised from history. 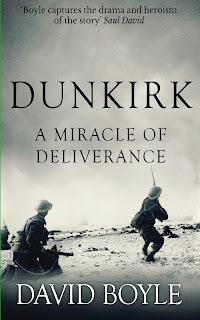 And, more particularly, excised from the new blockbuster Dunkirk film, which is still packing them in across the USA, but has been less well reviewed on this side of the Atlantic. There were two reasons why I was interested to see the film myself. First, because I've written my own book about the affair, recognising the parallels with the current Brexit crisis. And second, because of Vince Cable's contribution over the weekend, about older's people's nostalgia for a partly-understood imperial and wartime past. The film itself is a strange mixture, part cliche, party subtle message - which I, at least, felt the director Christoper Nolan was intending us to understand. Let's deal first with the Cracknell issue. Of the three architects of the naval operation, Ramsay, Tennant and Cracknell, only Cracknell - who had spent more than a week as piermaster on the mole at Dunkirk - was killed, on the way home, heroically giving up his place in the MTB which came to pick him up from the sea, because he said it was too dangerous for them to stop. I can see why the film-makers wanted to remove reference to individuals, but they gave the name 'Bolton' to the piermaster, which seems to me to have missed an opportunity. The main difference was that, instead of a pristine naval uniform as Kenneth Branagh wore in the film, Cracknell wore a white steel helmet and a week's growth of beard. These kind of inaccuracies were irritating, but perhaps just for me. More annoying were the cliches about the little ships which, brave as they were, made a far smaller contribution than the ferries and destroyers. But you can see why the idea of getting people 'home', so emphasised in the film, might appeal to American audiences. Yet, oddly, there was a more subtle message in the film, which I took. It was that almost nothing in the story portrayed turns out to be as it seemed. There are soldiers in British uniform who turn out to be French, spitfire fuel gauges that don't tell the truth, safe ships which turn out to be death traps, and the man giving out beer at the railway station turns out to be blind. In the end, the characters tell each other lies about what they have just been through: the shell-shocked sailor who knocked down and kills a boy on a small boat is told, at the end, that the boy is fine and takes comfort in that. In short, the film Dunkirk seems to me to have a subtle secondary message about the lies those who took part had to tell themselves in order to survive the trauma. The message appears to be that nothing is what it now seems to be. If so, this is at least accurate. 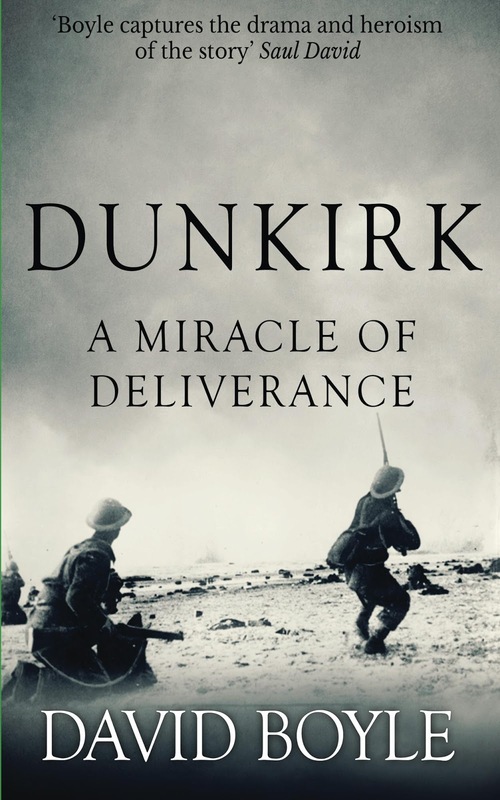 The whole Dunkirk tragedy was a national trauma, a betrayal of European allies (perhaps a necessary one), a bizarre snatching of survival from the jaws of disaster. Those who took part and survived appear to have done so by drinking deep at the draught of national forgetfulness - replacing memories with the fantasy of pleasure cruisers popping across the Channel, forgetting that nearly a third of the little ships and boats never returned. It was a sudden, traumatic Brexit in the sense that it left us alone and without the resources or the policies to defend ourselves. But, as it turned out, we had the people, some imagination and determination. But the old guard had to be dumped to make survival possible. I'm not, of course, claiming that all this is hidden in the Dunkirk film. What is there is an admonition by the director to take nothing on trust and to look beneath the fairy tale to the trauma within. 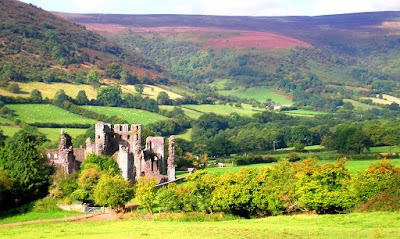 I've just been to Wales to the beautiful, and more than slightly damp, valley which stretches between Abergavenny and Hay-on-Wye. I've written about what I concluded about agricultural subsidies in a blog on the Radix website. But one thing stood out for me since and I wanted to set it out here. I have been closely involved in the RSA's Inclusive Growth Commission, and in the inclusive growth debate which has followed, but I believe that one linked question is now the most urgent and important question in economics. You wouldn't think that from the timidity of so many economists, but that need not stop us asking it - and asking it even if there is no immediate prospect of an answer. It is this. How can we re-grow a local economy when it has been corroded or monopolised? How do you replace money flows when they have disappeared? That is such a vital question that it maybe no exaggeration that the peace of the world, long-term, now hangs on somebody finding an answer. It will certainly involve enterprise and free trade - though not the kind of literal, fundamentalist interpretation of that doctrine that diversity is driven out. It will involve self-imposed determination to buy and sell locally where possible and to take part in the regeneration of local life. It will involve the adaptation of local energy and local food and building the infrastructure to support it. It will involve government support to tackle the monopolies and to organise the euthanasia of the rentiers, to coin a phrase. It may also involve the kind of anchor institutions that the valley once had in the form of Llanthony Priory. But is that enough? And who is going to try wholeheartedly to do it?